1. 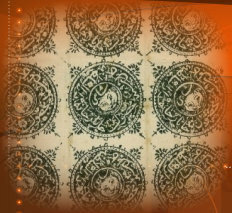 Used from Mazar-i-Sharif; 2. Used from Kandahar; 3. Pair, used from Herat. Printed in sheets of 8, comprising two panes of 4, arranged vertically. Perforated between the stamps and usually at top and bottom, but not at the sides–all stamps are therefore imperf on at least one side.